The first two words you come across when you do a research on how to lose weight is either diet or exercise and as time goes on, you begin to think and ask “Which one will help me lose weight faster and more efficiently. First of all, your mind set should change from just wanting to lose some weight to wanting to be healthier and so it should be a consistent thing and not what you stop when you think you’ve reached your target. What is dieting? Dieting is the practice of eating food in a regulated and supervised fashion to decrease, maintain, or increase body weight. Dieting through research has been discovered to be the more effective way of losing weight than exercises. But physical activity is also important in weight loss. 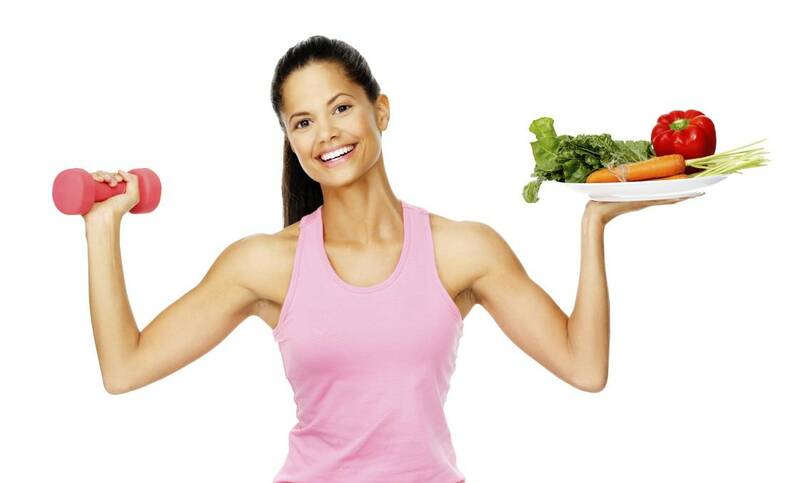 From research, it has been discovered that the main key to weight loss is to consume fewer calories than you burn. For most people, it is easier to lower their calorie intake than it is to burn more calories through increased exercise, that’s why cutting calories through dieting is generally more effective for weight loss. Dieting can be said to be the fastest way to lose weight, but however, its results can be just for a short while and that’s when you’re still dieting. Exercise on the other hand, doesn’t just help you lose weight but it can help you maintain your weight loss. Research from these past years has shown us that people who venture into this mission of losing weight and are physically active tend to maintain their weight loss more than those who just diet (reduce their calorie intake). If you lose weight by just dieting and restricting yourself to low calorie intake per day, you’re more likely to regain weight after you stop dieting. So basically, exercise has longer effects on your body than dieting does. Another major advantage that exercise has over dieting is that it gets your body prepared for weight loss. What do I mean when I say it gets your body ready for the weight loss? Your body as a whole had a certain shape when you had more weight and your muscles were probably not really that strong so what exercise does is that it gives your body better shape and also prevents muscle atrophy (loss of muscle mass). Exercises apart from just helping you lose weight, can also reduce the risk of you having diseases like Stroke, Type 2 diabetes, hypertension, heart diseases, osteoporosis, depression etc, and like I said earlier on, your aim should not be just to lose weight but to be healthier both physically and mentally. So in a nut shell, dieting and exercising are both important in losing weight. If you’re really looking for an effective and efficient way of losing weight and staying healthy, you should stop comparing this two and create time for the both of them. Create a meal plan and at the same time, a workout time table. To do this, you might want to seek the advice of an expert. Posted on 30th November 2015 by Valentine Oliver. This entry was posted in Diet plans in Dubai, Health and tagged Diet vs exercise. Bookmark the permalink.